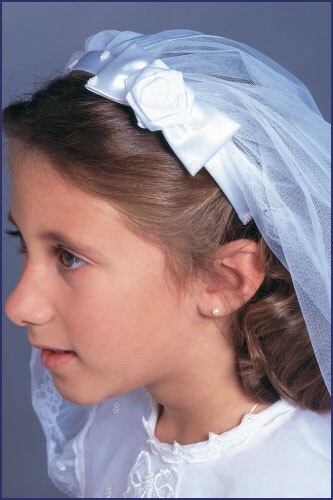 Headband style Veil features floral bow and pearl accents in a single tier. 25" long. Gift boxed.